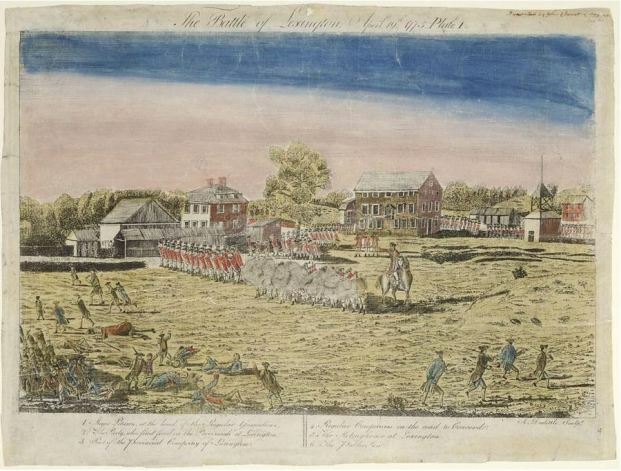 A few days after the initial conflicts between the colonial militia and the British troops in Lexington and Concord, the New Haven printer Amos Doolittle traveled to the scene of the action to interview eyewitnesses and to produce a series of prints depicting the momentous events of April 19, 1775. Doolittle chose to represent four key moments. In the first print, “The Battle of Lexington,” he portrayed the British regulars standing in formation on Lexington Green and firing on the fleeing colonists. 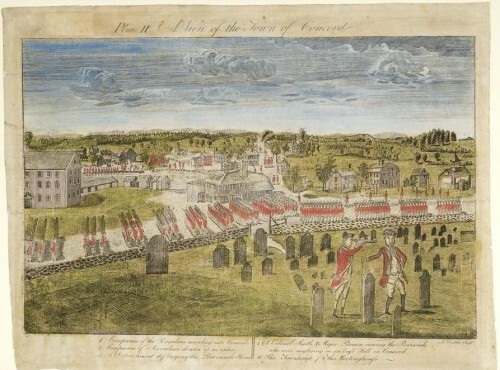 The second print, “A View of the Town of Concord,” depicts the British marching along what is now known as the Battle Road on their way to Concord. 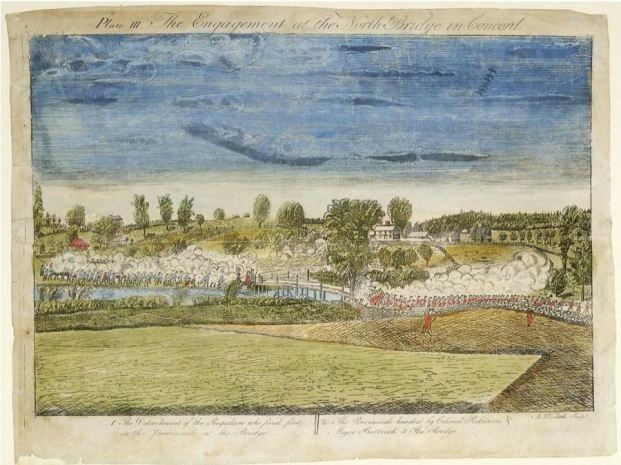 The third, “The Engagement at the North Bridge,” shows the British and Americans exchanging fire. 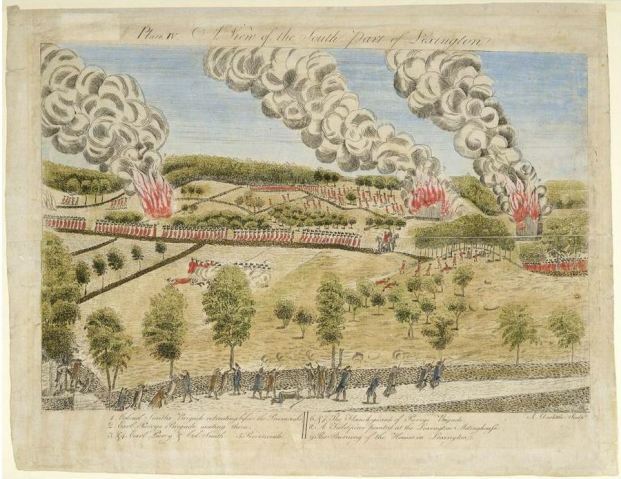 The final print, innocuously titled “A View of the Town of Lexington,” shows the British burning buildings as they retreat back towards Boston, while the colonial militia fire at them from behind stone walls. Contemporary verbal accounts of the battles of Lexington and Concord vary greatly, but most historians agree the Doolittle’s four etchings are an accurate reflection of the actual events. Such contemporary views of Revolutionary War battles are extremely unusual, and Doolittle’s four prints are extremely rare today. The set of Doolittle prints at the Connecticut Historical Society were given to the Historical Society in 1844 and are among its greatest treasures. Additional prints by Doolittle may be viewed in the CHS online catalog, eMuseum. O’Brien, Donald C. Amos Doolittle: Engraver of the New Republic. New Castle, DE: Oak Knoll Press, 2008.